The 2018-2019 International Skating Union’s Challenger Series continued with the U.S. International Classic in Salt Lake City, Utah, Sept. 13-15. 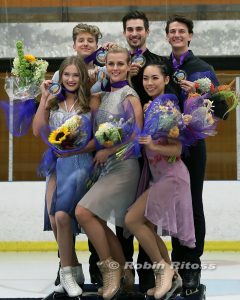 American teams grabbed the gold medal on home ice in both the pairs and ice dance events. 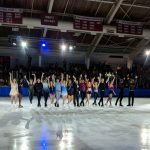 In the dance competition, reigning World silver medalists and U.S. champions Madison Hubbell and Zachary Donohue took a commanding 10.5-point lead in the rhythm dance (formerly the short dance) and did not relinquish it. They earned level four for their twizzle sequence and a stunning final curve lift in the rhythm dance. Their “Romeo and Juliet” free dance has an airy, romantic feel that is in sharp contrast to the tension in their bluesy free dance from last season. They won the gold medal with a total score of 197.42—more than 23 points ahead of the rest of the field. 2018 marks the fourth consecutive year that Hubbell and Donohue have won this event, and the team says they like the challenge of starting the season early. Fellow Americans Christina Carriera and Anthony Ponomarenko, last season’s World junior silver Medalists and U.S. Junior Champions, set two new personal bests in the rhythm dance and free dance en route to their silver medal performance, with impressive speed and twizzles. This event was their senior international debut. The name Ponomarenko may be a familiar one to figure skating fans—Ponomarenko is the son of 1992 Olympic Ice Dance Champions Marina Klimova and Sergei Ponomarenko. Misato Komatsubara and Tim Koleto of Japan earned the bronze medal, showcasing beautiful extension and long lines—especially the 6’1 Koleto. The third American team of Karina Manta and Joseph Johnson overcame a fall in the rhythm dance to score a personal best in the free dance and landed in fifth place in the seven-team field. In pairs, reigning U.S. pewter medalists Ashley Cain and Timothy LeDuc took their first senior international title in Salt Lake City. A fall on the throw triple lutz didn’t dampen the energy of their jive short program. They came back strong on the jumps in the free skate, landing side-by-side triple loops and a triple salchow-double toe-double loop combo. On the throw lutz, Cain fought and hung on to the landing, despite landing low in the knee. 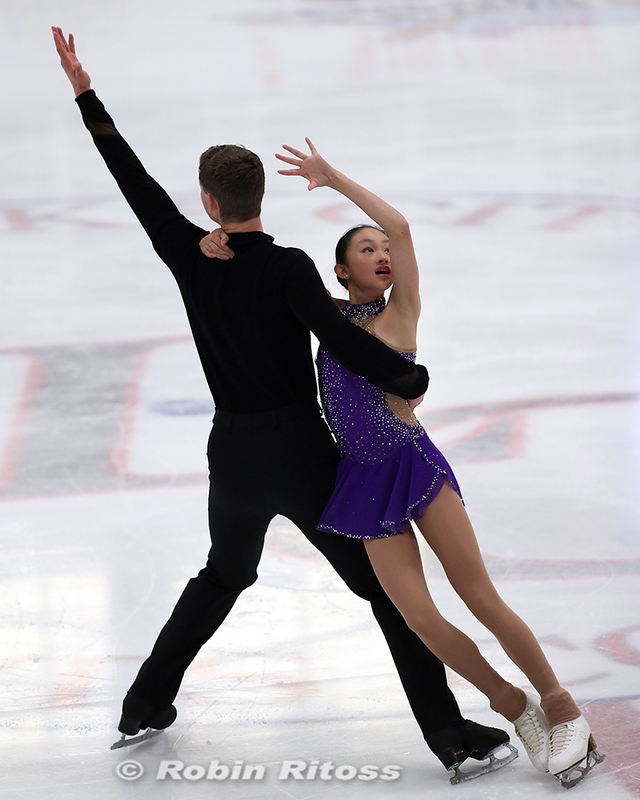 Audrey Lu and Misha Mitrofanov earned the silver medal in their senior international debut. The 2018 U.S. Junior Champions overcame a nerve-wracking stumble on a lift midway through their long program. Mitrofanov tripped during the footwork in the lift, but was able to steady Lu and bring her down safely. Australian pair Ekaterina Alexandrovskaya and Harley Windsor, the 2017 World Junior Champions, took the bronze in Salt Lake City with a level three triple twist and two solid lifts. They struggled with the throws and aborted one lift in the long program, and that program lacked the crisp confidence of their short, where the only major error was a foot down on the landing of the throw triple lutz. 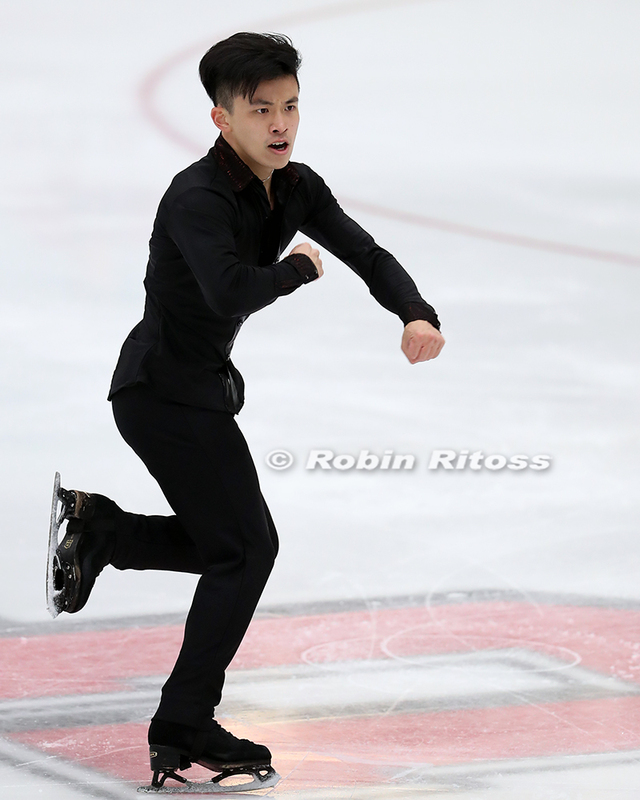 In the men’s event, Canadian Nam Nguyen won both phases of the competition, landing a clean quad salchow in the short program and two clean quad salchows in the long. His “La La Land” long program showcased a warmth and theatricality alongside the two quads and three other triples. Michal Brezina of the Czech Republic started his tenth senior international season with a silver medal. He struggled with some shaky jump landings and two falls in the long, but his reliable quad salchow-double toe combination in both programs kept him in the game—the combo has a base value of 11 points and he earned positive GOE in both segments of the competition. 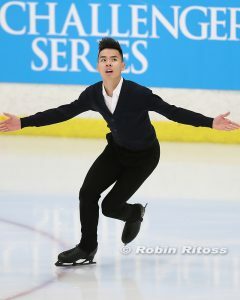 American Jimmy Ma—whose “Turn Down for What” short program had a viral moment at last year’s U.S. Championships—started his season with a bronze medal at this event, his first medal at a Challenger series event. 2018 Olympian Vincent Zhou of the United States rebounded from a tough short program to win the long program and pull up to fourth place overall. In the short, a fall on his opening quad lutz set the tone for a tough outing, where he also doubled an intended quad salchow and popped his triple axel, despite having level fours on his spins and step sequences. While he got called for some underrotations and the wrong edge on his flip in the long, two quad attempts, six triples, and another level four step sequence topped the field in that segment. 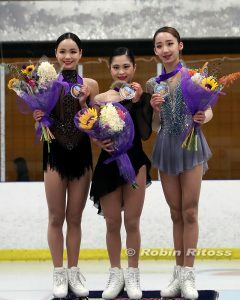 Two-time World medalist Satoko Miyahara of Japan won her third consecutive U.S. International Classic title in Salt Lake City in the ladies event, and she shared the podium with two skaters from the Republic of Korea, Eunsoo Lim and Yelim Kim, who won silver and bronze, respectively. Miyahara had two underrotation calls in the short program, but no such problems in the long, where she put down a six-triple program, including a triple flip-double toe-double loop and a double axel-triple toe combo late in the program. 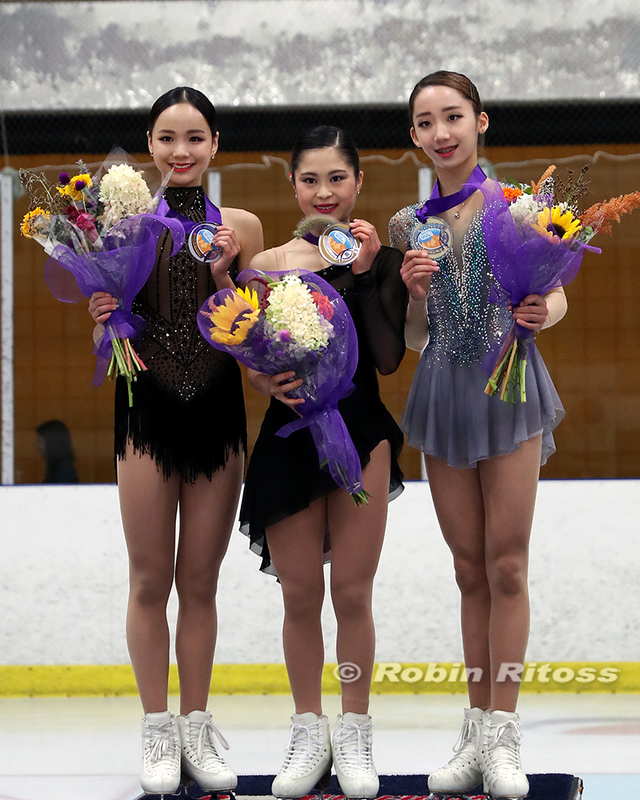 Lim, who won the Asian Open Trophy Challenger Series event in her senior debut in August, continued her strong start to the season, landing triple lutz-triple toe combinations in both segments of the competition. Courtney Hicks, who now trains with Kori Ade in Colorado, was the top American lady, in seventh place. Hicks was on track for a clean program when she doubled her final triple flip and triple lutz attempts. 2017 World Silver Medalist and 2018 Olympic Team Gold Medalist Gabrielle Daleman was in third place after the short program, but mistakes on five of her seven jumping passes in the long dropped her to sixth overall. View photos from all the competition action in our Photo Gallery.